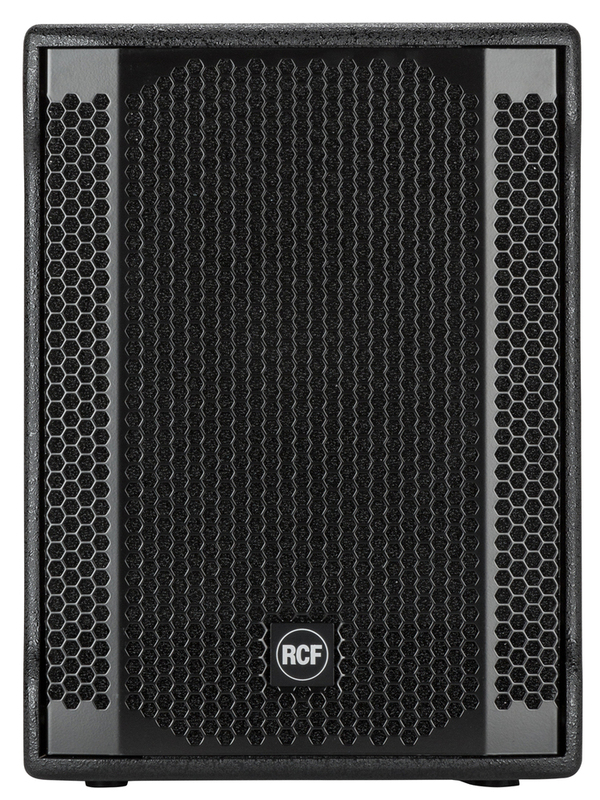 The RCF SUB 702AS II is a powerful 12" subwoofer with a peak power of 1400W and an RMS power of 700W. This professional subwoofer is the ideal complement to 8" or 10" speakers and is perfect for creating small but powerful satellite systems with outstanding performance. 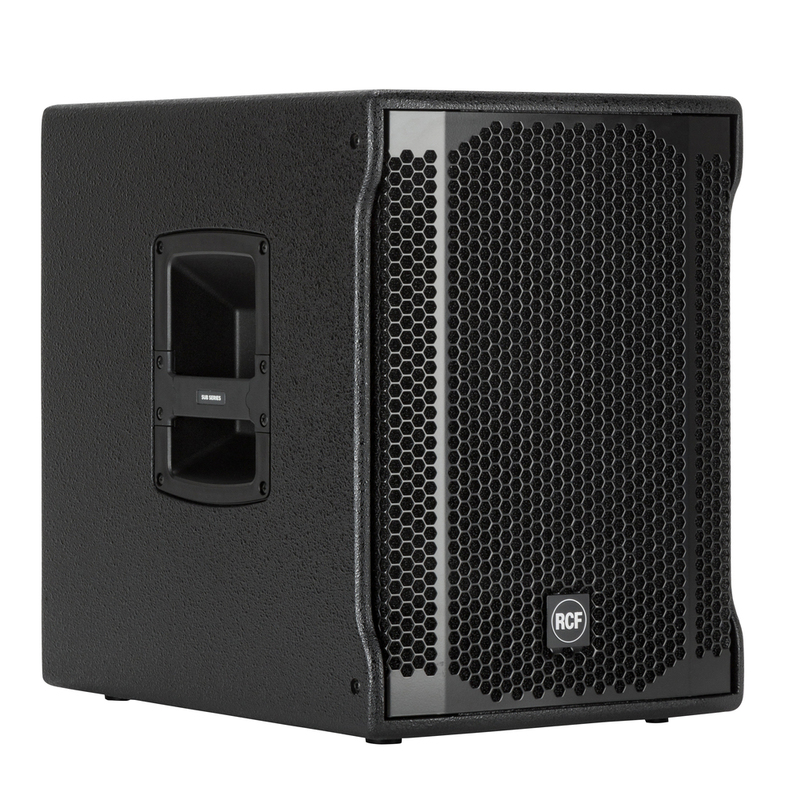 The sub's compact and lightweight design (only 17.5kg) makes it ideal for mobile discos and DJs who have to transport their equipment to and from gigs. 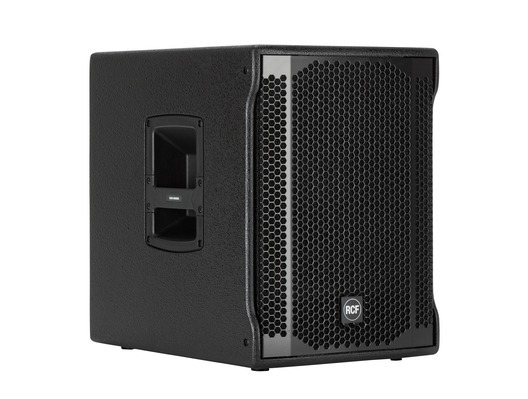 The SUB 702AS II is also very quick and easy to set up using its built-in digital stereo crossover (DSP) with adjustable crossover frequency to connect the satellite. 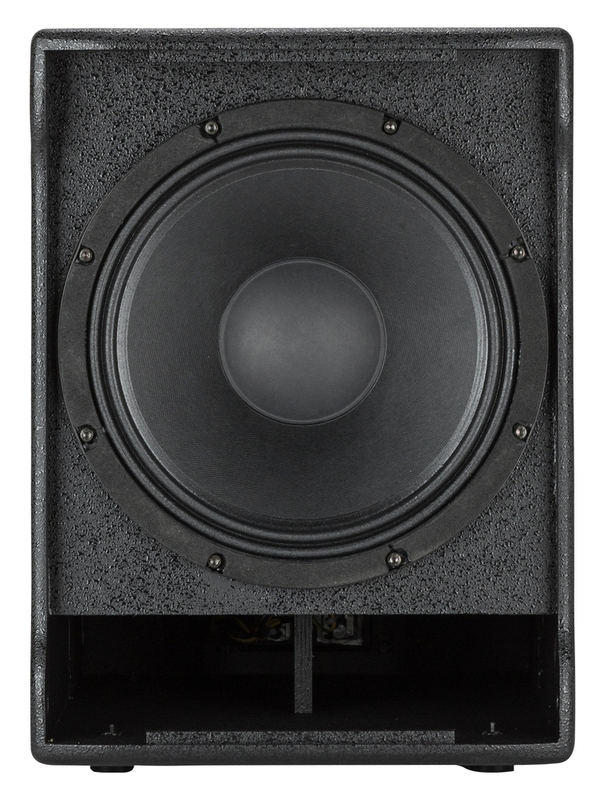 The SUB 702-AS II is designed to integrate seamlessly into RCF professional speakers. The bass reflex design guarantees a deep, linear power response while the 2.5'' voice coil design woofer offers the minimum of power compression. SUB 702-AS II is the perfect match for 8", 10" or 12" satellite speakers. It is also the ideal companion subwoofer for the RCF ART 3, ART 7 or D-Line Series. The SUB 702-AS II is equipped with a new generation of 1400 Watt Digital Amplifiers that produce a very high output, an extremely low distortion and an incredible natural sound. The amplifier features a solid mechanical aluminium structure which not only stabilize the amplifier during transportation but also assist in the heat dissipation. 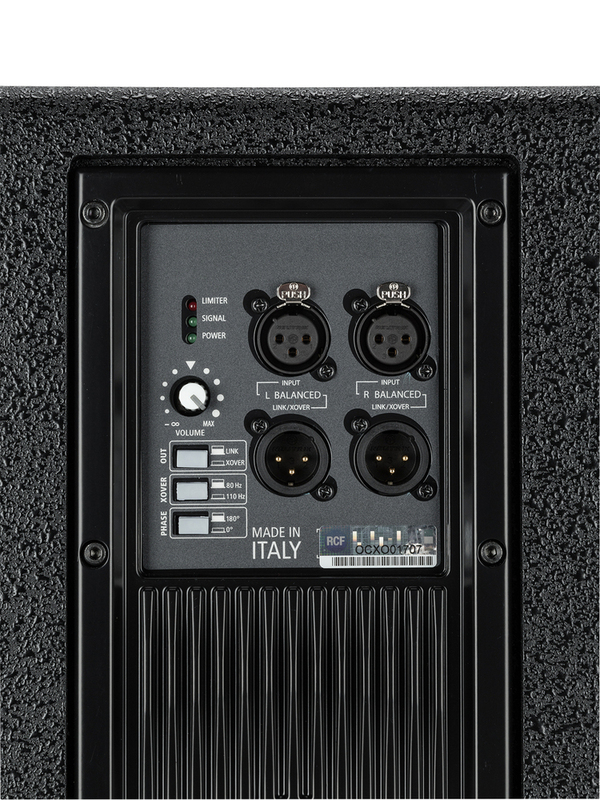 The input board includes stereo XLR Inputs Balanced/unbalanced), stereo XLR Link/XOVER outputs, volume control, Xover switch, phase switch. 3 status LEDs - Limiter / Signal / Status are provided for monitoring the system. The new high-power 12-inch woofer is the result of the latest refinement in years of RCF experience in compact active subwoofer design and manufacture, providing a fast and controlled reproduction of the bass frequency range. The reason behind the original design of the cabinet's distinctive inward curve is related to sound optimisation. In a cabinet with a standard design, sound waves reflect on the cabinet's edges, thus creating undesired effects of absorption and disturbance or decreasing sound coverage. In our SUBs sound waves don't hit the sides because of the slightly concave profile with moulded edges that helps avoiding all acoustical drawbacks. Two ergonomic recessed handles are positioned on the sides of the speaker. Thanks to the integrated steel pole mount, the SUBs can be easily combined with another speaker with a few simple moves. The use of steel instead of plastic makes the whole system particularly reliable and robust, thus allowing to choose a heavier monitor without the risk of damage.